Welcome to the most trusted currency exchanger website in Bangladesh. 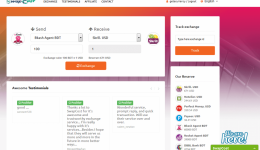 Swapcost is one of the most popular online Exchanger in BD. Here you can change your money in a moment. We are the first people in Bangladesh who are working with all types of crypt currencies. For Freelancers, here is an innovative arrangement of money. From here you can exchange money from Bangladeshi taka in dollars or USD to BDT. Can be used to change the widely used international wallet in a few moments. Customers can avail this facility from anywhere in Bangladesh. 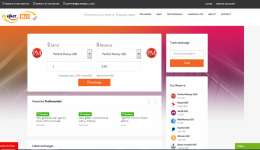 Our Exchange Services PayPal, Skrill, Neteller, Payza, Pyoneer, Perfect Money, Web Money, BTC, ETH, XRP, BCH, LTC, DASH, XMR, ETC, ZEC, MONA, crypto currency. Best Trusted site with good currency resources in Bangladesh. Change your wallet safely and instantly. We accept PayPal, Skrill, Neteller, Payza, Pyoneer, Perfect Money, BTC and also any types of crypto currency. 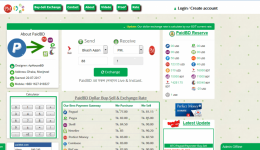 Paidbd.com website is the trusted dollar buy-sell & exchange website in Bangladesh. This website is created by Md. Mahbub Alam who is the admin of ApHouseBD.com. ajkerbill.com website is the trusted e-courency   buy-sell & exchange website in Bangladesh. This website is owner  Md Arafat,Fast Delivery  & always reserve e-courency in the site. 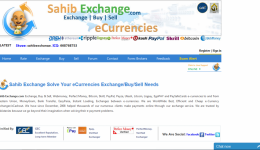 Sahib Exchange.com Exchange, Buy & Sell, Webmoney, Perfect Money, Bitcoin, Skrill, PayPal, Payza, Ukash, Litcoin, Liqpay, EgoPAY and PaySafeCards e-currencies to and from Western Union, MoneyGram, Bank Transfer, EasyPaisa, Instant Loading, Exchanges between e-currencies. We are WorldWide Best, Efficient and Cheap e-Currency Exchanger/eCashout. We have since December, 2008 helped thousands of our numerous clients make payments online through our exchange service. We are trusted by Pakistanies because we go beyond their imagination when solving their e-payment problems. Pakistan’s First e-Currency Exchanger. Most trusted and reliable exchange service. Business Start Year : 2008 . Evogates was founded in 2005 as e-Currency exchanger, today it’s one of the most reliable CryptoCurrencies & e-Currencies services company. Our goal is to make CryptoCurrency & e-Currency available all over the World. We strive for the best exchange rate in order to provide greatest benefits to the users. 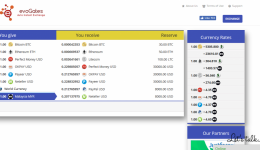 Exchange service Evogates created exclusively for instant exchanges between popular CryptoCurrency & e-Currency: BitCoin, Ethereum, LiteCoin, Perfect Money, Payeer, OKPay, Neteller, Advanced Cash and PayPal. Business Start Year : 2005 .